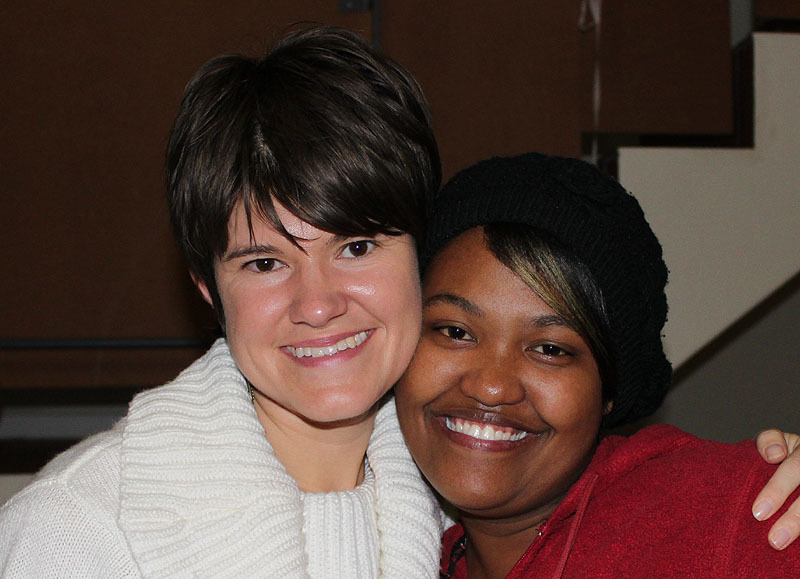 Julie mentors at-risk high school girls with weekly Discovery Bible Studies and a dance class offered through a local dance studio. 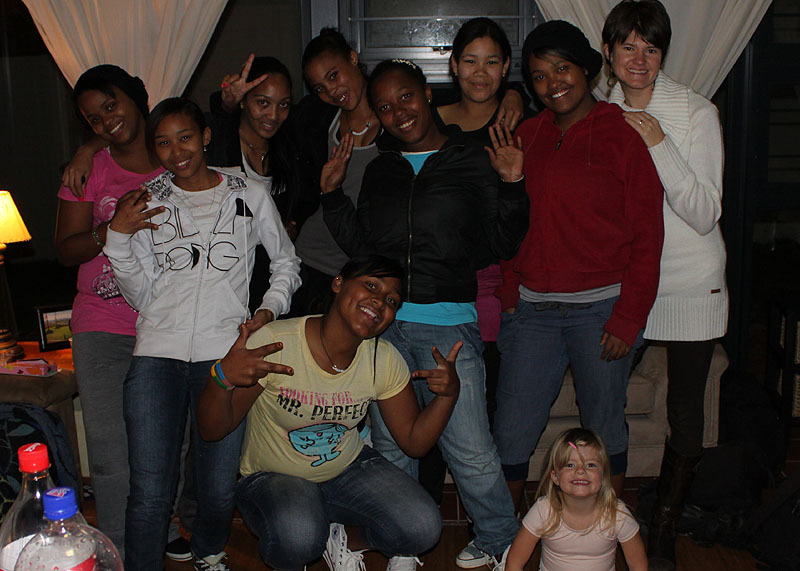 The Ocean View High School Discovery Bible Study girls (the "Divas" as they like to call themselves) came over for our year-end pizza party. Nadine memorized our "short story" version of the entire book of Ruth. We are so proud of her! 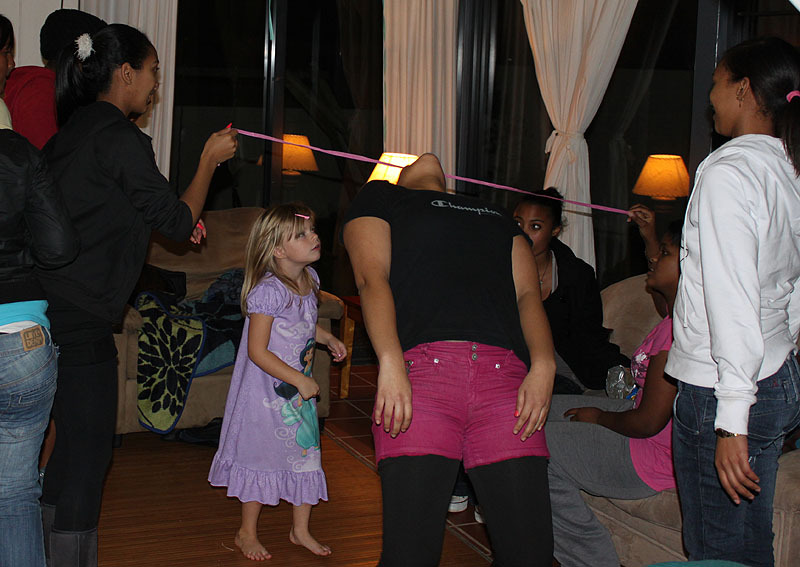 Jensen loves a party and convinced everyone to play a game of Limbo with her!